It is time to really pay attention because opportunity has come knocking along with it. It is signaling you that great changes are happening in your life and it is up to you to seize the moment. Whether it is the renewal of an old project, the finishing of a new project or simply a serendipitous meeting with someone in your life. Whatever way you perceive it know that the door is wide open for you right now and that success is yours for the asking. 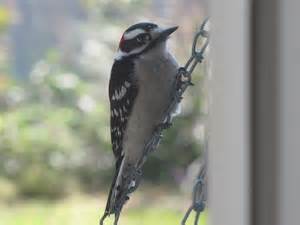 This entry was posted in love and poetry and tagged faith, nature is beautiful, PEACE, philosophy, spirituality, woodpeckers. Bookmark the permalink. You are truly an observant nature lover! I read Loving Nature by James Nash on my last vacation and thoroughly recommend it if your up for a good read. It is a great book that takes the economics-environmental crisis seriously. As always I enjoy your posts! Insightful, thoughtful writings. Be well Estee.